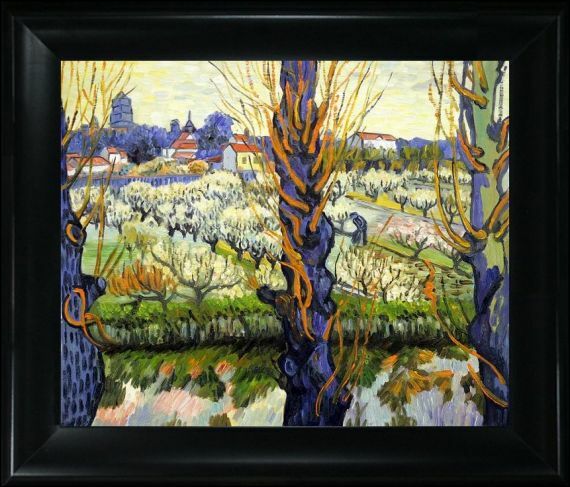 20" X 24" Oil Painting On Canvas Hand painted oil reproduction of one of the most famous Van Gogh paintings, Orchard in Bloom with Poplars . The original masterpiece was created in 1889. Today it has been carefully recreated detail-by-detail, color-by-color to near perfection. 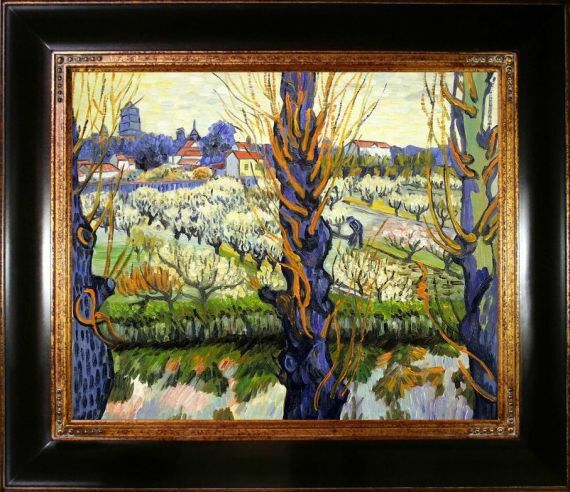 Why settle for a print when you can add sophistication to your rooms with a beautiful fine gallery reproduction oil painting? 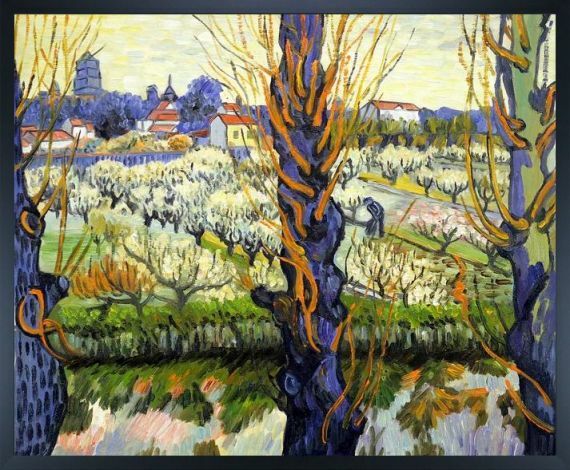 Vincent Van Gogh's restless spirit and depressive mental state fired his artistic work with great joy and, sadly, equally great despair. 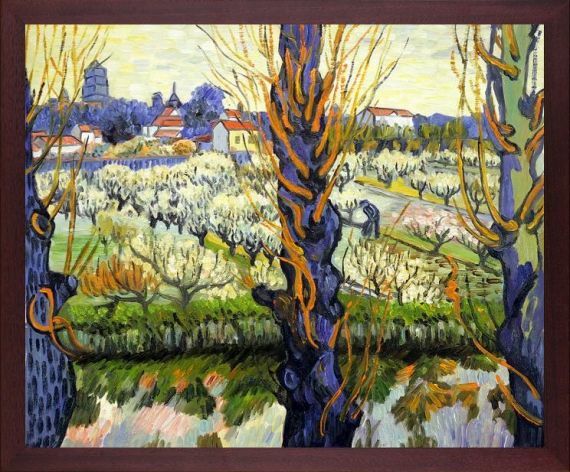 Known as a prolific Post-Impressionist, he produced many paintings that were heavily biographical. 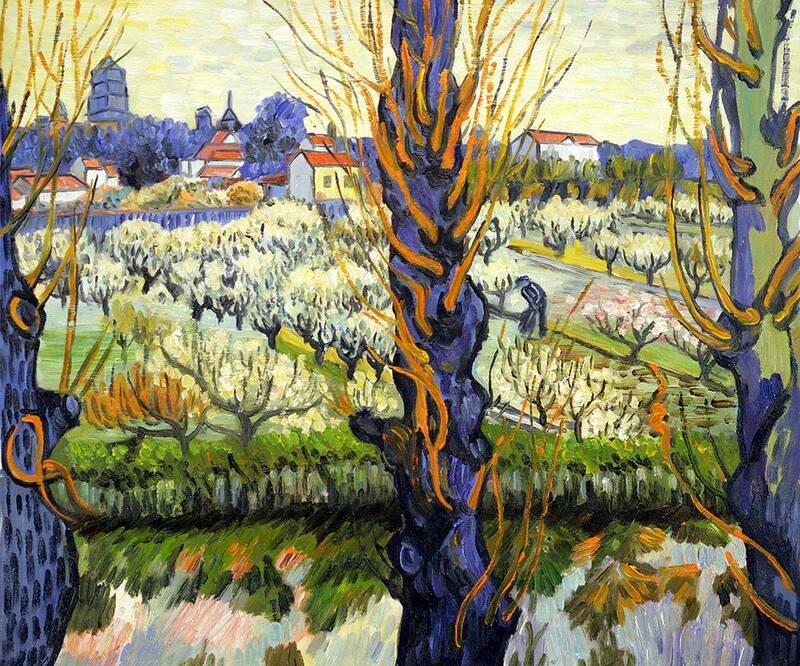 This work of art has the same emotions and beauty as the original by Van Gogh. 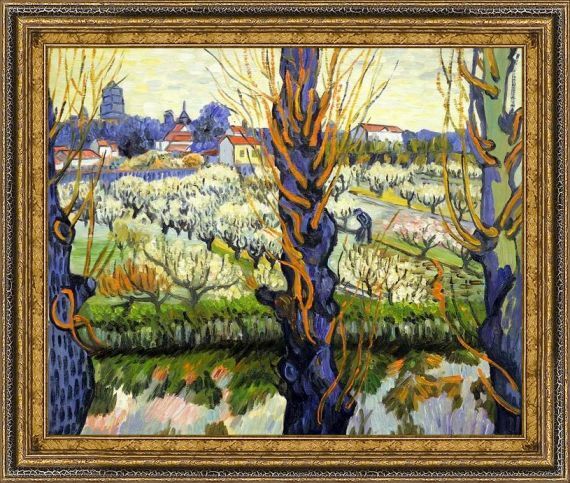 Why not grace your home with this reproduced masterpiece? It is sure to bring many admirers!